Manufacturer of a wide range of products which include electrical metallic tubing, hot dip galvanized steel flexible conduit and set screw connector/ steel/ emt conduit. 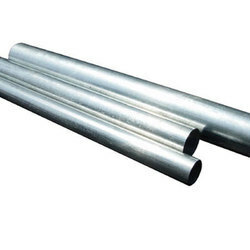 We manufacture a wide range of Electrical Metallic Tubing using high-grade flat-rolled steel by electric resistance welding process. These are available in various sizes and dimensions. 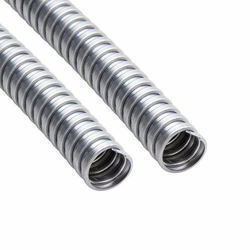 The finished conduit is uniform in OD size, wall thickness, a defect free interior surface, and smoothly welded seams. Providence EMT is produced in normal trade size from 1/2" - 4"
Manufactured using strips of heavy thickness and is round lock in construction. These are prepared using helical winding of cold rolled annealed pinch passed hot dipped galvanized steel strip. Our range is primarily used where high corrosion resistance, long conduit life, and marginal flexibility is required. 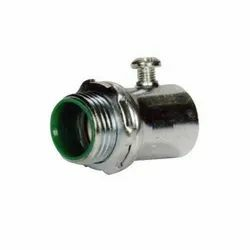 Looking for “Emt Tubes Emt Accessories”?